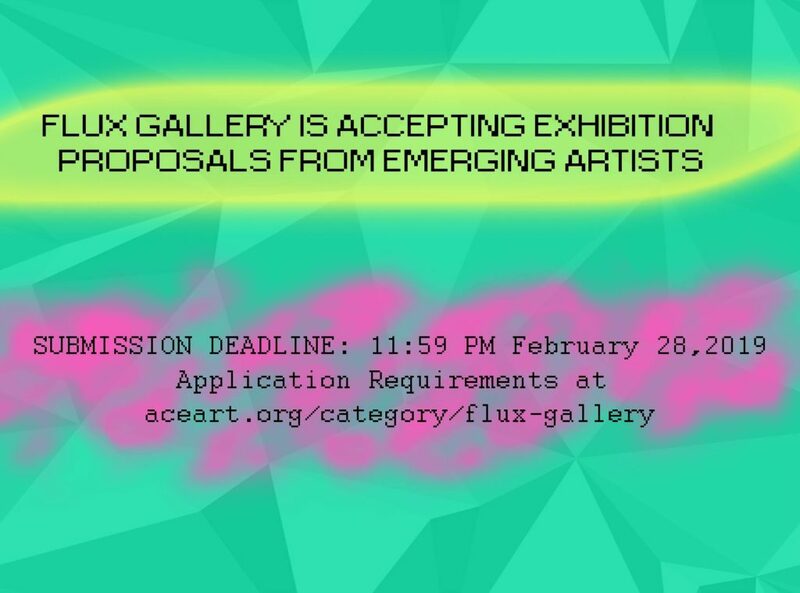 Flux Gallery will be seeking exhibition proposals from emerging artists. To apply please submit the following in a digital format to flux@aceart.org by 11.59pm, 28 February 2019. List the dates in your order of preference. We cannot guarantee you’ll get your preferred date. You must know how to install your own work. If desired, you can request time in the space to practice installing your work. Works involving sound must be played through headphones. You must return Flux Gallery to its pristine state during the strike of your exhibition. Your work will be for sale; artist fees are therefore not applicable. We will provide a $100 honorarium per show. A map of the space can be found here.